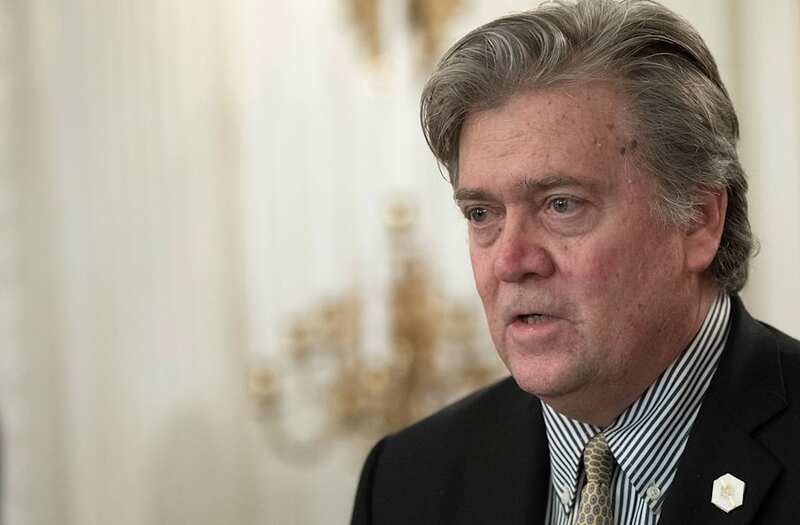 A few days before the American Health Care Act, the Republican replacement bill for the Affordable Care Act, was pulled from the floor of the House of Representatives, House Republicans had a sharp rebuke for chief White House strategist Steve Bannon when he met with them at the White House, according to a report from Axios. The conversation started off on the wrong foot, with Bannon adopting a tone the report characterized as authoritative. "Guys, look. This is not a discussion. This is not a debate. You have no choice but to vote for this bill," Bannon reportedly said to members of the ultra-conservative House Freedom Caucus. But those in the Freedom Caucus weren't buying into Bannon's opening gambit. "You know, the last time someone ordered me to something, I was 18 years old. And it was my daddy. And I didn't listen to him, either," said one member of the caucus. The meeting was part of an effort by the Trump administration to woo Freedom Caucus members – without their support, the bill was doomed. Here's the full drop off for the top 17 cities in chart form. In the end, the White House and Republican leadership were unable to wrangle enough votes to pass the bill on the floor of the House. Initially, it drew staunch opposition from members of the Freedom Caucus and other conservatives like Kentucky senator Rand Paul. Paul and his colleagues referred to the bill as "Obamacare 2.0" and believed it did not go far enough to repeal the entirety of the Affordable Care Act. When the White House offered some concessions to hardline conservatives to win their support, it lost the endorsement of more moderate Republicans, who felt that the new bill – which rescinded essential health benefits like emergency room care, maternity care, and mental health care – was too harsh and would harm their constituents. One of the final blows to the bill came when moderate New Jersey Republican and chair of the House Appropriations Committee, Rodney Frelinghuysen, withdrew his support for Trumpcare. The bill ultimately failed despite Bannon's meeting with the Freedom Caucus and President Trump's ultimatum that if the House did not pass the AHCA, Obamacare would stay and the president would move on to the next item on his legislative agenda.